LG has long been known to be working on a foldable phone. We have already seen several patents detailing various designs that LG’s foldable phone could take. Now a new patent has been unearthed that not only describes the design and form factor but also includes actual images of the bendable display. So far we have seen several patents showing different form factors that LG’s foldable phone can come with, such as designs with two screen parts or three screen parts. One patent even showed a phone that unfolds into a tablet with one screen on the inside and the other on the outside. LG has also filed several trademark applications for names that would be suitable for a foldable phone, such as the LG Flex, Foldi, Duplex and Bend. Still, there has been no information on the actual design that the phone could feature. However, this new LG patent reveals a lot more than what the earlier patents have detailed. LG’s latest patent includes actual photos rather than just sketches of a foldable phone. These photos appear to have been taken in a laboratory, and they show a screen with a flexible back plate. This new patent was spotted by LetsGoDigital, which created its own renderings based on the information in the patent. If the patent images are seen in combination with the earlier patents, they seem to suggest a preference for a clamshell design. Other phone makers are also opting for a clamshell design, such as the Motorola, Lenovo, Sharp and ZTE. When will LG’s foldable phone be available? 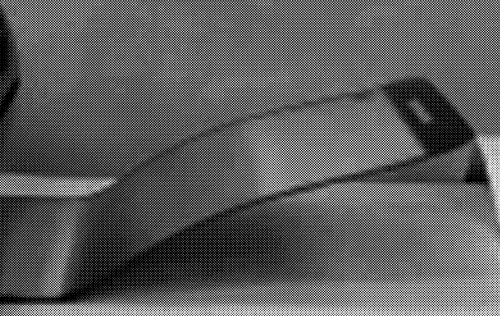 LetsGoDigital notes that the display, as described, will have a “bending radius of 2.5R.” The smaller the bending radius, the flatter the device can be folded. According to the tech blog, the Korean firm will continue to work to achieve a bending radius of 1R. Such a radius would allow the display to be folded in half like a piece of paper. In comparison, Samsung’s Galaxy Fold reportedly has a bending ratio of 1.5R. It could mean LG won’t release its foldable phone until after it achieves a 1R radius. This would ensure that its phone has a differentiating factor. This is in line with the plans LG revealed a couple of months ago. The company believes the market for the foldable phone is not yet lucrative enough for it to enter. The company also said it has the technology ready to respond to competition in the foldable segment, but it won’t yet. “Considering this situation, it is too early for LG to launch a foldable smartphone. In terms of technology, we are fully ready to respond depending on consumers’ reactions,” Kwon Bong-seok, president and head of LG’s mobile communications division, told The Herald a few months ago. To prove that it has the needed tech, the executive said that at CES in January, the company debuted a roll-up TV. According to Kwon, this roll-up technology is one step ahead of foldable technology. Further, he said the company did consider releasing a foldable smartphone when launching its 5G smartphone but decided not to launch it. LG was rumored to be planning to launch a foldable phone at CES 2019. LG, which has a display business, presumably has the ability to produce foldable OLED screens for its phones. This could prove to be a big advantage as it will help it control the prices of its foldable phone compared to those that must procure displays from third-party suppliers. There have also been rumors that Apple and LG are working together to develop foldable screens for iPhones. However, LG has to be very cautious when it comes to investing in foldable phones. The company has posted 15 straight quarters of losses, and its mobile division lost $286 million due to slow sales and high marketing costs.